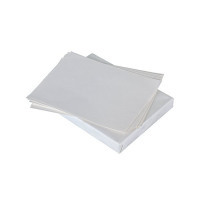 Q-Connect White A4 Bank Paper is perfect for effective and clear carbon copies, making this ideal for creating duplicates. This paper is ideal for use in banks, with a lightweight 50gsm construction and a specially coated surface to aid the creation of carbon copies. This pack contains 500 sheets.